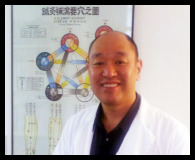 Robert Chu is a Licensed Acupuncturist and Herbalist, specializing in the Master Tung Acupuncture methods. In his private practice in Los Angeles, he effectively treats pain, a wide variety of internal diseases, gynecological disorders, infertility, and side-effects from cancer treatments. Dr. Chu regularly volunteers at Pasadena’s Cancer Support Community, where he does a weekly Qi Gong/Stress reduction class and monthly lifestyle/nutrition class. He has also been featured as a speaker for the American Cancer Society. In July of 2004, Dr. Chu was selected as the Acupuncturist to Olympic athletes at the Olympic Trials held in Sacramento, CA. Dr. Chu also lectures nationally and abroad on Acupuncture and Chinese Medicine to provide continuing education to MD’s and Acupuncturists. In 2005, he founded ITARA – International Tung’s Acupuncture Research Association, to preserve, standardize, educate, and research new applications of the Tung family system of Acupuncture with integrity, and open sharing. ITARA has now grown with branches throughout the United States, Canada, U.K. and Finland. He has lectured at known Acupuncture Colleges throughout the US, and has lectured to Finland, the U.K., Canada, France, and Spain, as a dynamic and entertaining speaker. He is presently on the faculty at Emperor’s College in Santa Monica, teaching students in the Doctorate program. He also supervises externs at the Roy and Patricia Disney Family Cancer Center in Burbank, CA. Dr. Chu is also a famous Chinese Martial artist. He is a second generation disciple of Ip Man (叶问), and studied with Master Hawkins Cheung and Kwan Jong Yuen. He is famous for being the subject of many magazines including Black Belt, Inside Kung Fu, and Martial Arts Illustrated, has also written many articles, co-authored Complete Wing Chun , featured in instructional DVDs and is currently on the cover of Masters Magazine. He is equally famous for his Long Pole (棍) and Double Knives (双刀) skills, and is also expert in Hung Ga (洪家), Lama/Hop Ga (喇嘛/侠家), Tai Ji Quan (太级拳), Xing Yi (形意拳), Ba Gua Quan (八卦拳), and renowned for his Die Da Ke (跌打科) skills. He is balanced with attainments in Scholarly and Martial Achievements (文武双成) in ancient Chinese ideals. Submitted by elotus on Fri, 01/30/2015 - 11:58am. Dr. Chu is clear, focused and experienced. I appreciate his direct way of speaking. Not too much BS. I mostly enjoyed this seminar. The middle portion of it felt like it dragged on a bit but then picked back up after the break. Dr. Chu has a great sense of humor and I am looking forward to taking more courses from him. Master Chu is an amazing and dynamic speaker, with a great sense of humor. Great use of humor to help keep a long lecture interesting yet informative! He is very clear, I am able to retain what he says about each of the subjects, because he does not go off on tangents and reiterates and clarifies things specifically and in general when he is commenting about how he uses his prescriptions ie that he has specific points and formulas but one must modify this according to the individual patient presentation, very important to know. great content and delivery. it was a pleasure attending this course. I tend to agree with his ideas about nutrition and lifestyle, but would prefer to spend the time on the stated subject instead, perhaps get a little deeper into the subject. It's always a pleasure learning from Dr. Chu. He simplifies what initially appears to be complicated information into very understandable and memorable concepts. wonderful! this is my third seminar with Dr. Chu. Love him! This is the second course I have taken at E lotus and the second with Dr. Chu. I am really impressed by both the presenter and the hosts! Dr. Chu presented a vast amount of useful information, clearly, and with a sense of humor, and in a well thought out and organized format. There was a good balance between the amount of information provided and the ability to sense the "response" of the class so that there was time to adequately absorb the information. This is an art to be able to teach in this way. Perhaps a gift or the result of many years of teaching. I gratefully express my joy at being able to attend this class because the information is very valuable. I enjoyed Dr Chu very much. I enjoyed his humor, his knowledge, and his manner of expressing the information. Gave great explanations in multiple ways. I liked adding the graph for point locations along with the pictures and demoing on the body. best webinar yet. the speaker was easy to understand, interesting, informative. I left with a lot of useful information. I appreciate Robert's clarity, expertise, and knowledge. He was very thorough with his information. I learned some new points. I love how Robert Chu teaches. He's an excellent speaker, I wish he had taught at our acupuncture school. He gave a lot of practical, usable information in an interesting fashion. Great presentation, very good information! Thank you! Great amount of knowledge and enthusiasm for the subject. He was good. He speaks with authority and has a good presence. This is my first time hearing Dr. Chu. I am pleasantly surprised with his TCM knowledge, the capacity to explain it, and his desire to share it with all of us. There are certain details about Western Medicine where he does not have all the facts right and it would be better that he does not talk about it. It is better to be quiet than to spread misinformation among the Acupuncture community. Fantastic. Lots of information. Seems very knowledgable. Pertinent clinic information presented. Robert Chu is brilliant yet also is very set in his ways, that doorbell story and limiting one hand point is case in point, ridiculous. He also would benefit to open his awareness of other acupuncturists as he gets very opinionated about many things that in fact are not just his opinion when teaching. I would give him another class to check him out. excellent teaching skills. He presents clear concise explanations with clinical experience, funny jokes, simple visual graphs that are easy to recall, clear anatomical pictures of new points. So much is done for the lazy student, making it easier to put into action the next day. 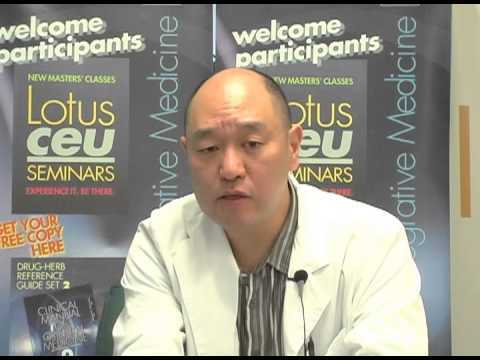 I think Dr. Chu is an excellent speaker, he demystifies treatments, expects common sense from his students, and explains his reasoning clearly and concisely which helps in remembering what was taught so it can be put to use immediately in the clinic. I truly appreciate his slide notes and his organized and direct lecturing style. He is very accommodating and even did a demonstration and answered questions to the best of his knowledge. I enjoyed Dr. Chu's engaging method. I would love to have a class on Master Tung's point location theory. I HAVE TAKEN A FOUR DAY COURSE WITH DR CHU A FEW YEARS AGO. HE IS VERY CLEAR AND A GREAT PRESENTER. Dr. Chu was the best speaker I have heard thus far in my career. Please have him often. I appreciate that Dr Chu stayed on point and did not wander from the subject matter. I found him to be knowledgeable and careful in his explanation of things. The notes were over the top wonderful . I felt like the course was one of the best I have taken so far and that includes at CSTCM and I have taken some pretty awesome courses. I like to joke too. I really enjoyed the way he reviewed theory . I also liked what he said about "pray and shoot." I also liked it when he gave formula breakdowns and shared custom formulas. Love Dr. Chu, one of the best presentations Elotus has yet offered.